193887000X -Thoroughly revised and updated, the new 6th edition keeps pace with the changing healthcare landscape in the U.S. and with the demands placed on its healthcare leaders. Grounded in the practices of continuous quality and performance improvement at all levels of an organization, the latest edition examines virtually every aspect of health services leadership and management, from day-to-day decision making to personnel and resource management to transformational change processes. 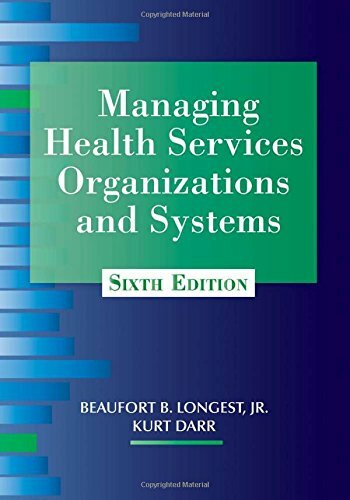 Instructive to students preparing for careers in health services management and as a permanent reference for current health services executives, making this text the most definitive and comprehensive resource available today! New to the 6th edition: Updated content in every chapter; more than 30 engaging new case studies; challenging new discussion questions; new sections on project management, emergency preparedness, patient and staff safety, infection control, employee stress, hazardous materials, sharps injuries, workplace violence, and waste management; fully updated glossary of abbreviations; downloadable instructor support materials for every chapter!